"We believe that developing a clear and coherent framework for alternative accreditation is important for learners of all abilities, and is a central pillar of raising attainment and standards across the school. Allowing students to credit learning beyond the classroom, to accredit their development of 'softer' but equally vital skills is something that is both a motivator, as well as key elements of supporting students achievements across Key Stage 3-5.  At Thomas Tallis we intend to provide a clear pathway using the ASDAN programme to do this, so that students can earn credits in Key Stage 3 that they can use in qualification higher up in the school. This means we can operate a curriculum that is both appropriate and rich for the full range of learners. We have had clear successes already with students in Year 9 completed a CoPE Level 2 and as such achieving a GCSE Grade B equivalent, and students moving onto CoPE and WKS (Wider Key Skills) Programmes in Years 10-11. We need to embed this more thoroughly and ensure that more students have an entitlement to this kind of learning now and into the future. This means building on our successes so far and growing our offer into Key Stage 3 in the first place and then cultivating a greater provision in the Post-16 sector so that the students have a natural pathway that they can flourish through at appropriate points in their school career"